The Pinnacles are an inaccessible formation of fantastical limestone spires rising from the forested middle slopes of Gunung Api mountain. An astounding final view. A steep ascent and high humidity and temperatures. 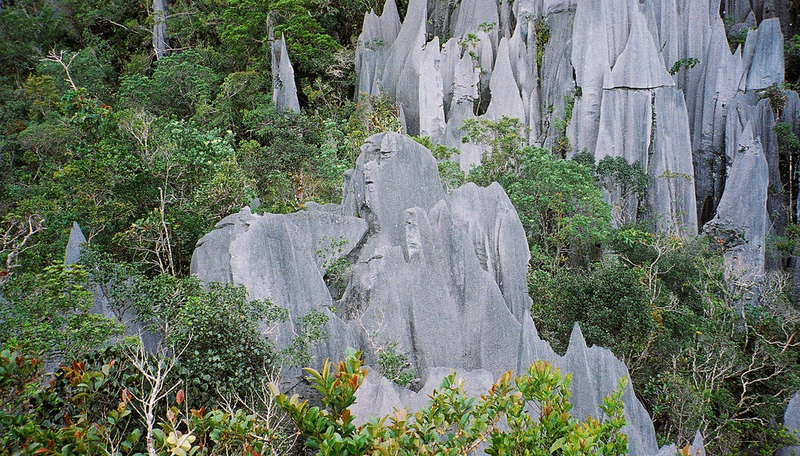 The Pinnacles are an inaccessible formation of 45m limestone spires rising from the forested middle slopes of Gunung Api mountain with a viewing point further up. 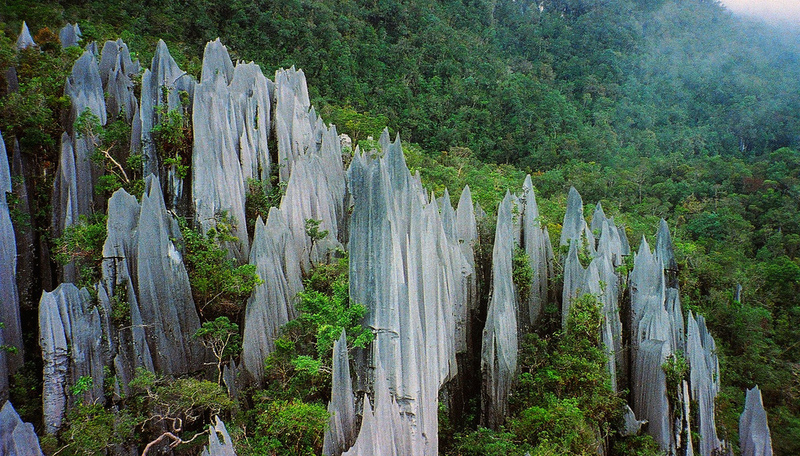 They were formed into fantastical razor blade spikes by the erosion of Karstic limestone. This is a tough walk, with a steep ascent and high humidity and temperatures, but all worth it for the astounding final view. The trek up to the Pinnacles is usually a 3 day and 2 night affair although it can also be done in 2 days and 1 night. 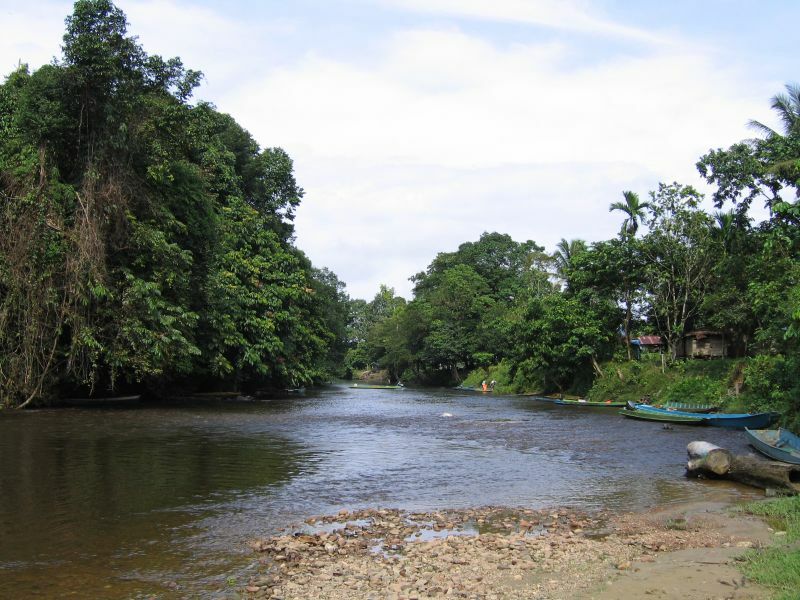 From the Mulu National Park you take a boat ride along the Melinau River to Kualu Berar, which takes roughly 1-2 hours. The water level is at times low, meaning the boat might have to be pushed, causing the length of the journey to vary. 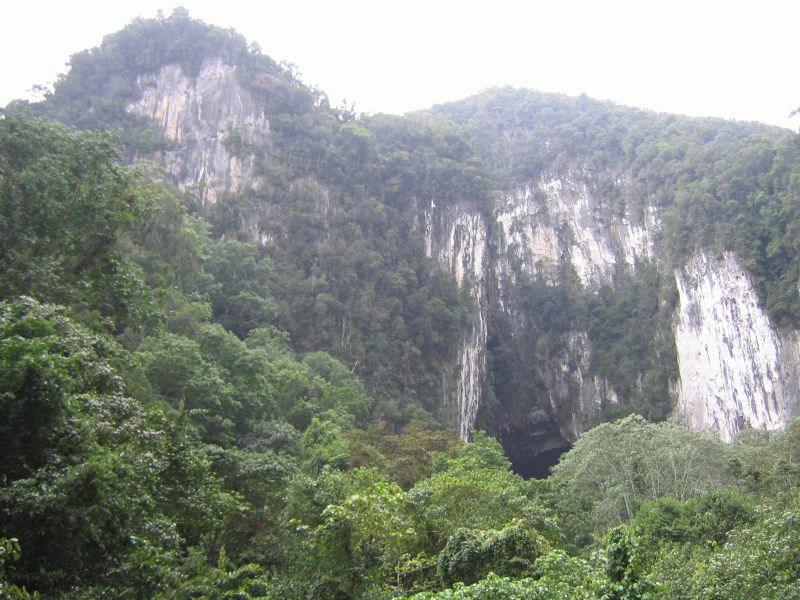 From Kuala Berar there is a 7.8km walk to Camp 5 where you spend both your nights. This section is reasonably easy, winding through flat jungle, and usually takes around 2-3 hours. The next morning you take the 2.4km path to the Pinnacles, which rises 1,200m from the Camp 5 to the viewpoint. How long it takes to reach the viewpoint varies from 2-5 hours depending on how fit as well as how experienced you are. This trail takes you through low-lying forest followed by a steep section through a moss forest, in which the path is littered with limestone debris from the eroding mountain as well as the slippery moss. The final section is the most challenging, with the gradient reaching almost vertical. Vegetation is sparse except for plants that thrive in such conditions, such as orchids and pitcher plants. The slope is so extreme that there are 15 aluminium ladders strategically placed to help with the climb. The first ladder must be reached by 11a.m. in order to continue. You eventually emerge onto a rocky outcrop with outstanding views of the Pinnacles extending beneath you. The descent is more challenging, and therefore takes considerably longer, anything from 5-10 hours depending on your fitness level. A second night at Camp 5, then back on the boat for the return to the National Park centre.